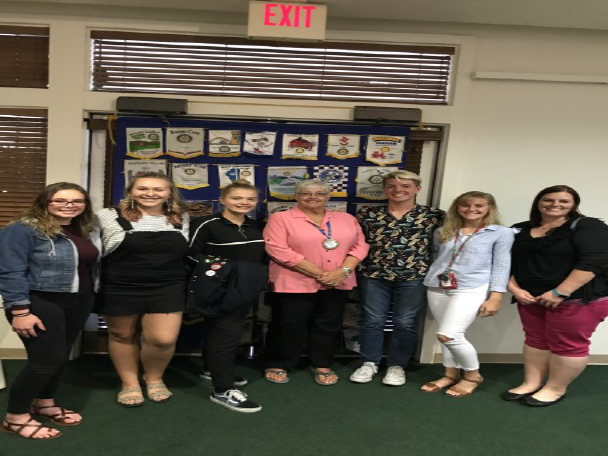 The Club also presented $8000 in Scholarships to local youth. 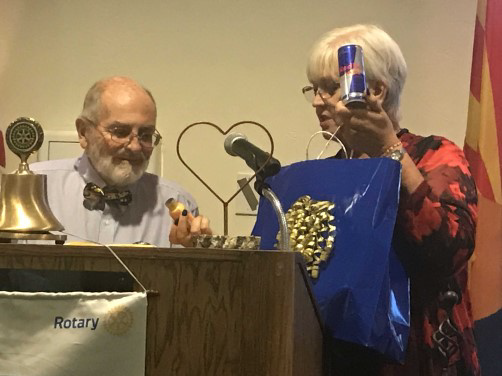 Outgoing Rotary President, Nancy Fusco, turns over the reigns of club leadership to the new President, Jerry Regan. 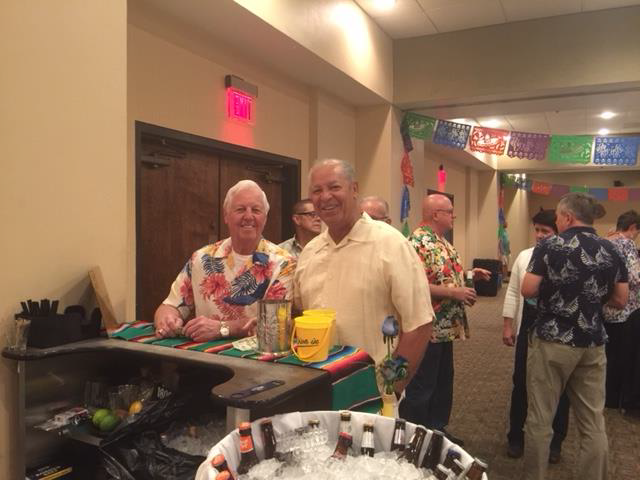 Jim Behnke educates the club on the true history of Cinco de Mayo. 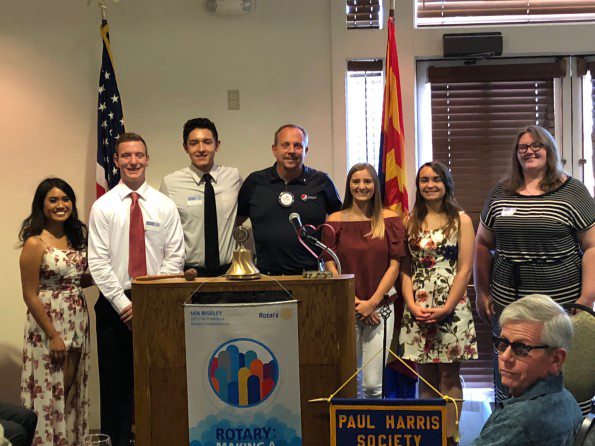 Club Sponsored RYLA Students (Rotary Youth Leadership Awards) and International Exchange Students updated the club on their leadership experiences. 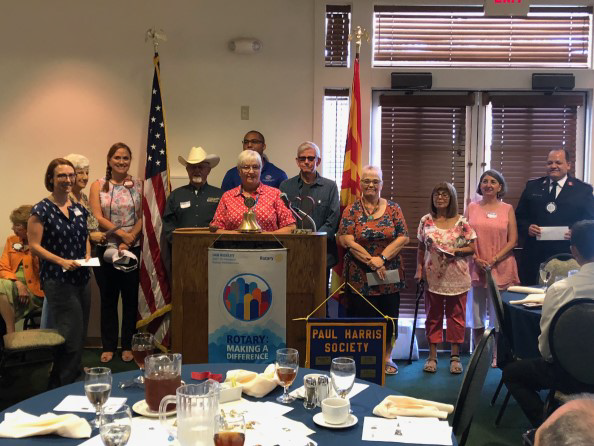 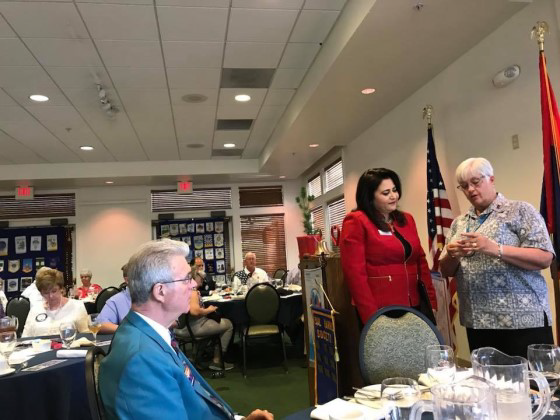 Lea Marquez, President and CEO of the Tucson Hispanic Chamber of Commerce, receives a Rotary Coin in appreciation of her presentation regarding the activities of the Hispanic Chamber. 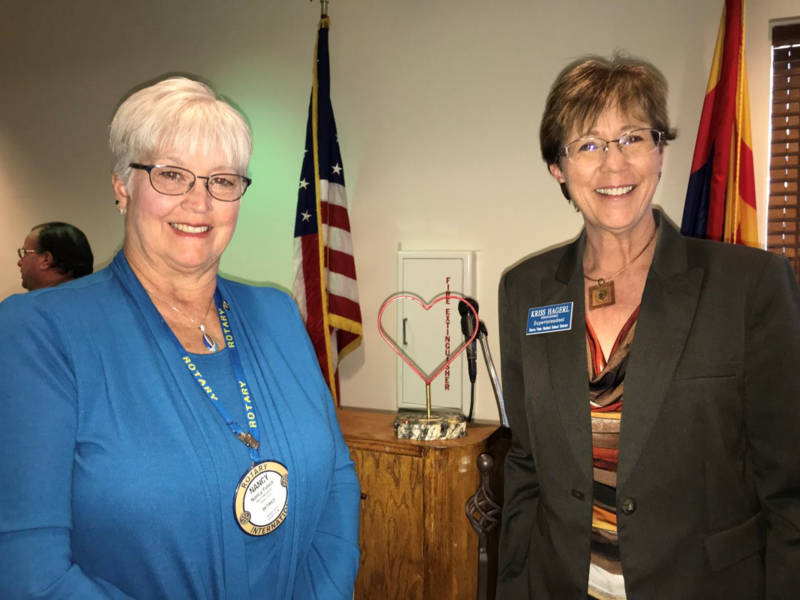 Sarah Pacheco, Karina Rice Roberts, Janetta Richardson, Rotary Club of Sierra Vista Learns about Chiricahua Community Health Centers. 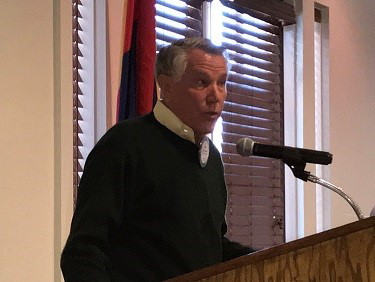 Bruce Dockter provides the club an overview of Canyon Vista Medical Center operations. 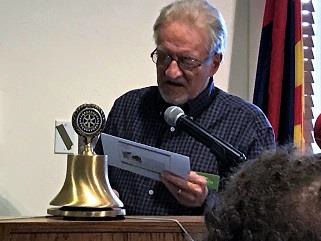 Rick Coffman provides the Club an assessment of Water and Water related issues and their impact on Castle & Cooke operations. 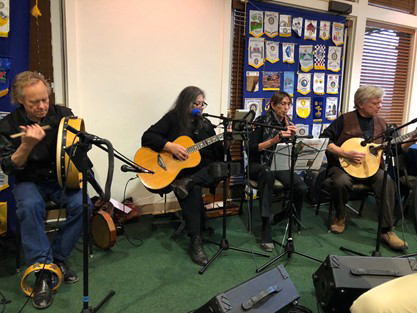 Rotarians enjoying an evening of fun, music, food, and dancing raised over $11,000 to support next year's charity work. 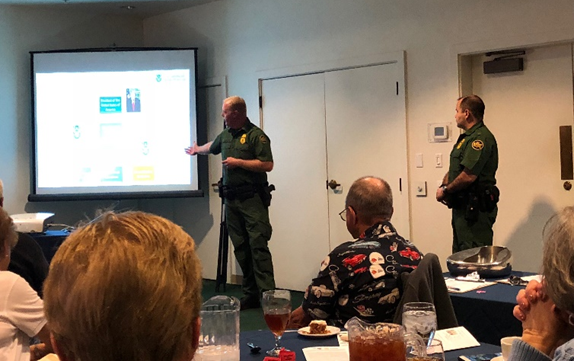 Border Patrol Agents brief the Club about their activities in the Tucson Sector. 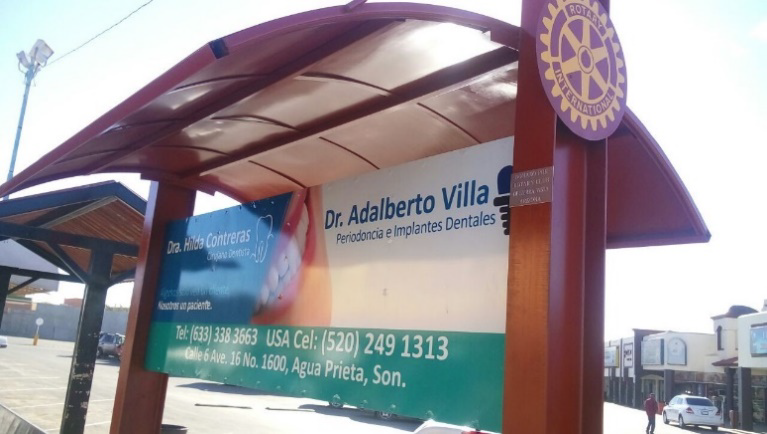 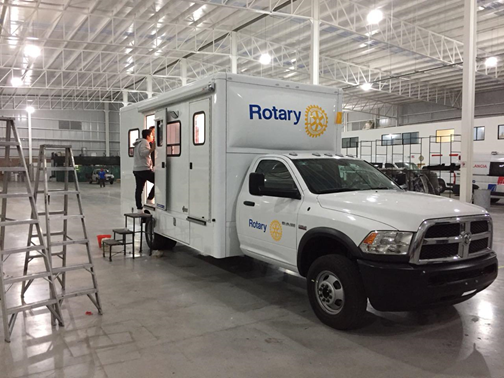 The Sierra Vista Rotary Club provided financial support under a Rotary Global Grant to purchase a new Medical Van in support of the community of Caborca Mexico. 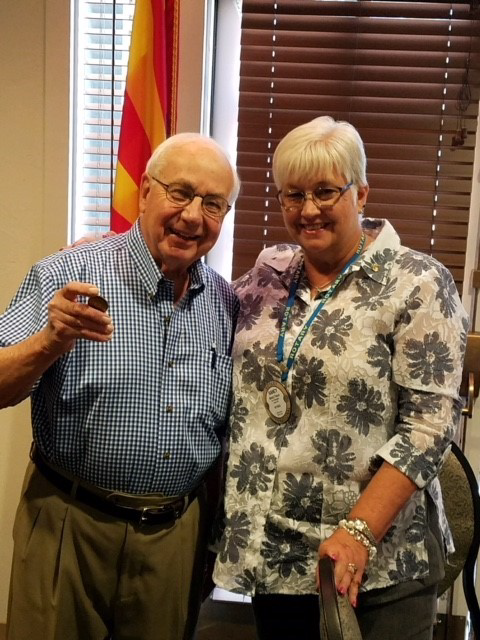 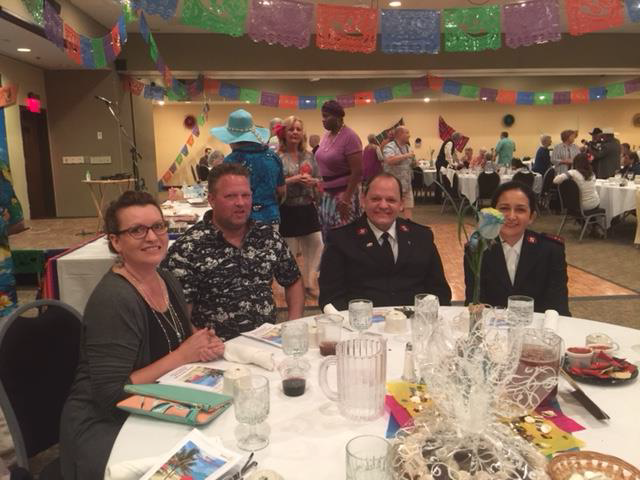 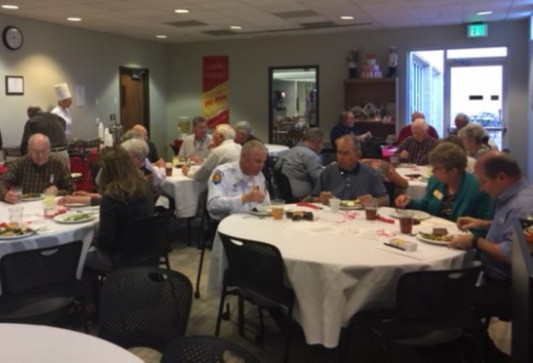 Rotary enjoying a delicious meal prepared by Chef Laura and her students at the downtown campus of the Cochise College Culinary School. 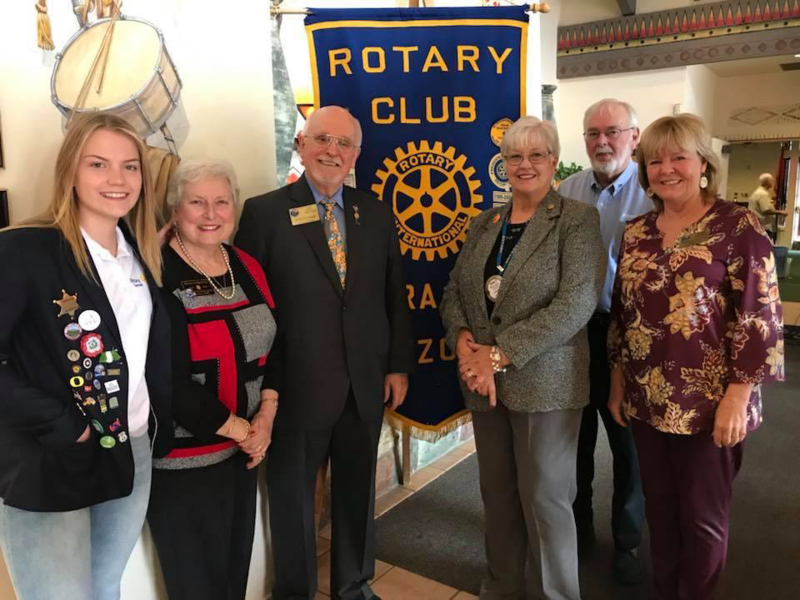 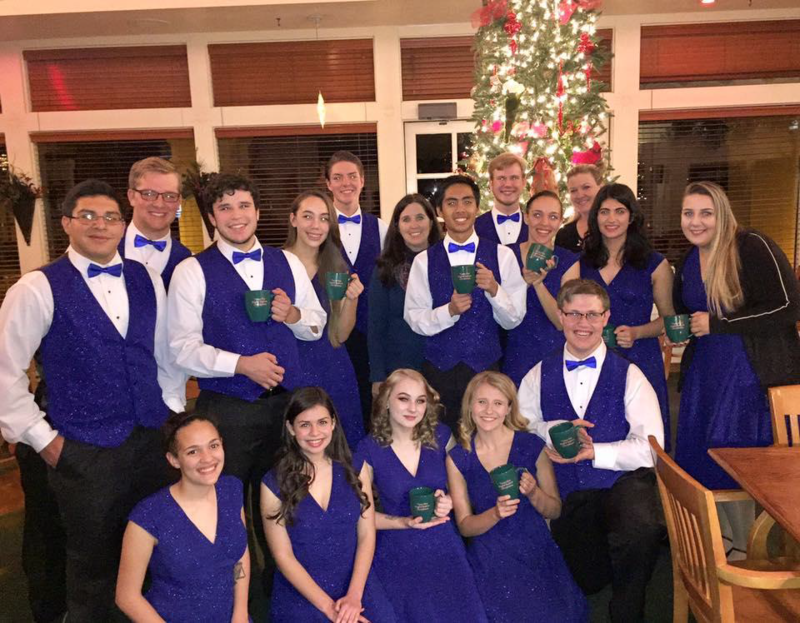 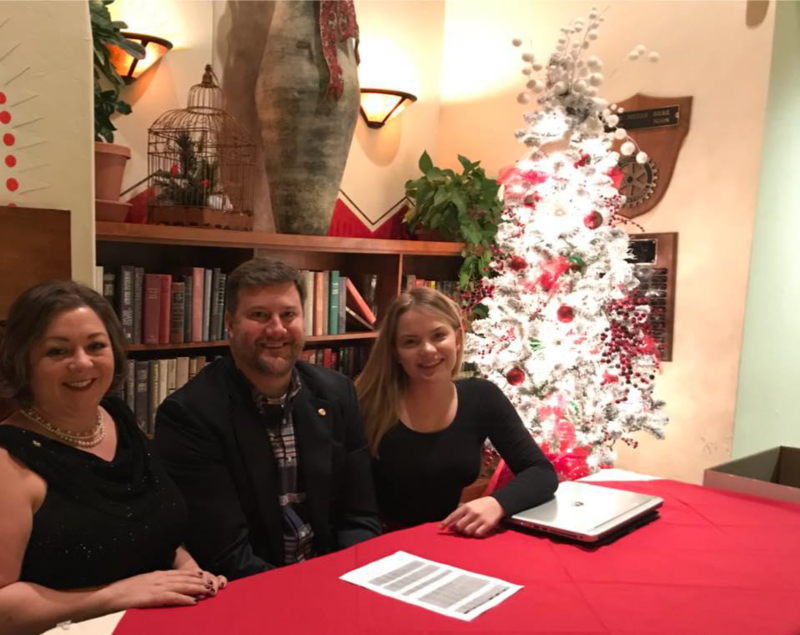 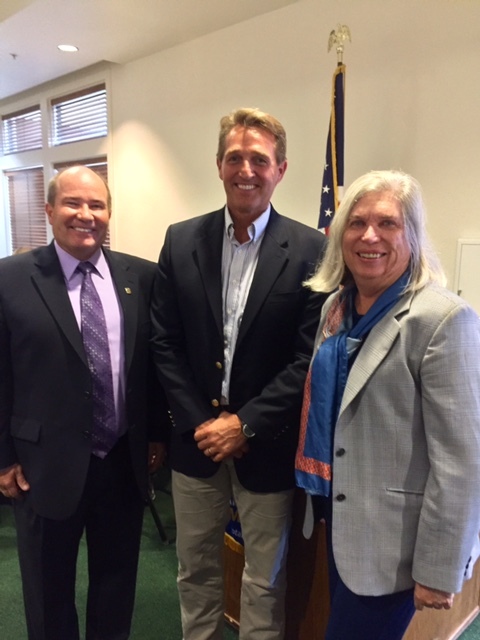 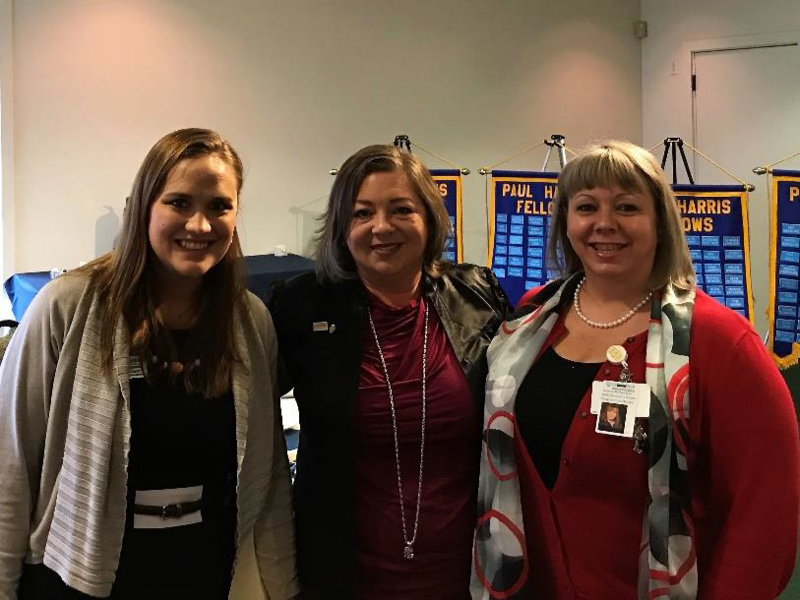 Holiday Music Entertainment was provided by Buena High School's "Rhythmix"
The Rotary Club of Sierra Vista heard from two distinguished guests in attendance, District 5500 Governor, Sheryl Christenson and United States Senator Jeff Flake.